Kalin Bennett's journey is truly inspirational. 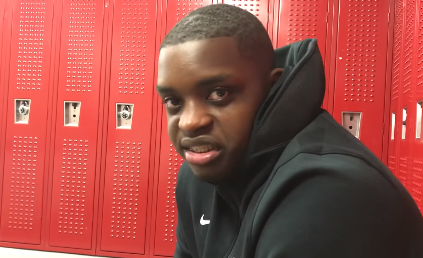 Kalin Bennett has made history, becoming the first athlete with autism to sign a national letter of intent to play at a Division I level school, after signing a letter of intent for Kent State earlier this month. Cleveland.com reports Bennett, a 6’10” 300-pound forward who’s on the spectrum and was given low chances of a child of ever being verbal or being able to walk, wants to inspire kids and show that if he can do it, they can too. Bennett told Cleveland.com he wants to help kids struggling with disabilities and one day, create a space where they can be themselves without the fear of judgment. Kent State called Bennett “a phenomenal human being.” That assessment seems bang on. Bennett had to overcome numerous obstacles and did so spectacularly. Kent State is getting not only a good player on the court but an amazing, inspiring human being off of it. He’ll show kids struggling with disabilities that they won’t hold you back in life. That anything is possible. Bennett’s story is awesome. You can read more of Bennett’s personal success story here.